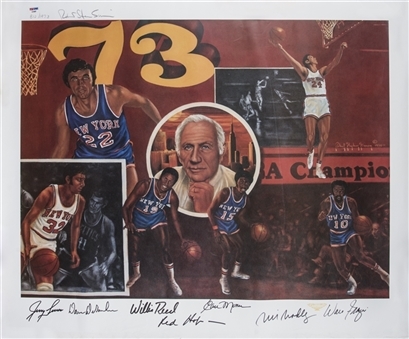 The 1973 NBA champion New York Knicks are commemorated with this stunning Robert Stephen Simon lithograph. 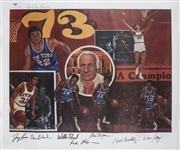 The 1973 Knicks, led by coach Red Holzman and a star-studded frontcourt, defeated the high-octane Los Angeles Lakers in a five-game NBA Finals. Willis Reed, the hero of the 1970 NBA Finals, was named Finals MVP after scoring 16.4 points with 9.2 rebounds per game. 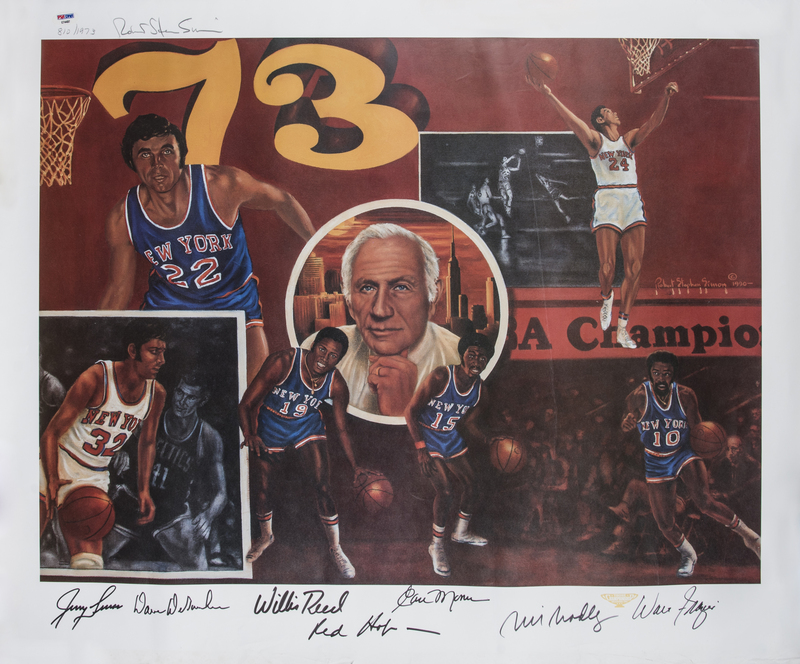 This lithograph has been signed by the Hall of Famers Jerry Lucas, Willis Reed, Dave DeBusschere, Bill Bradley, Walt Frazier, Earl Monroe, and Red Holzman, as well as the artist Robert Stephen Simon. The Knicks have signed this limited edition 810 of 1,973 lithograph in black marker, while Simon has signed the lithograph in gray pencil. This lithograph measures 24.5 x 30 inches and comes with a PSA/DNA STICKER ONLY (C74437).